Q. I know the name of a specific database. How do I find it on the library website? If you know the named of a specific database (JSTOR, Learning Express, LexisNexis, etc. 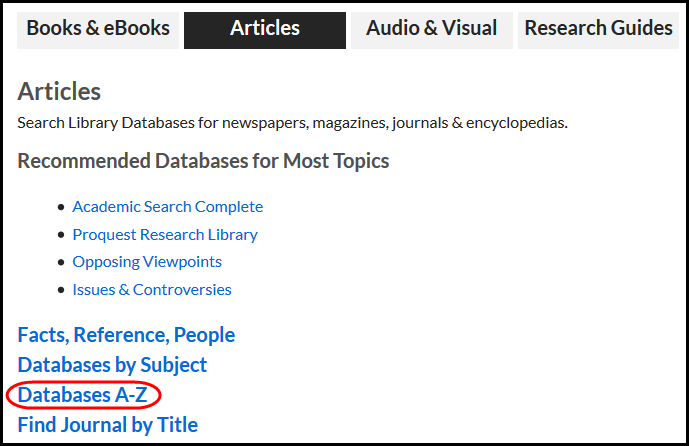 ), the easiest way to access it is by going to the library's Databases A-Z list. Remember that you will need to login with your Blackboard/MyNOVA username and password if using the database when off-campus.